TAL was involved in putting forward a design for the Baltimore Quay Wall stabilization works. 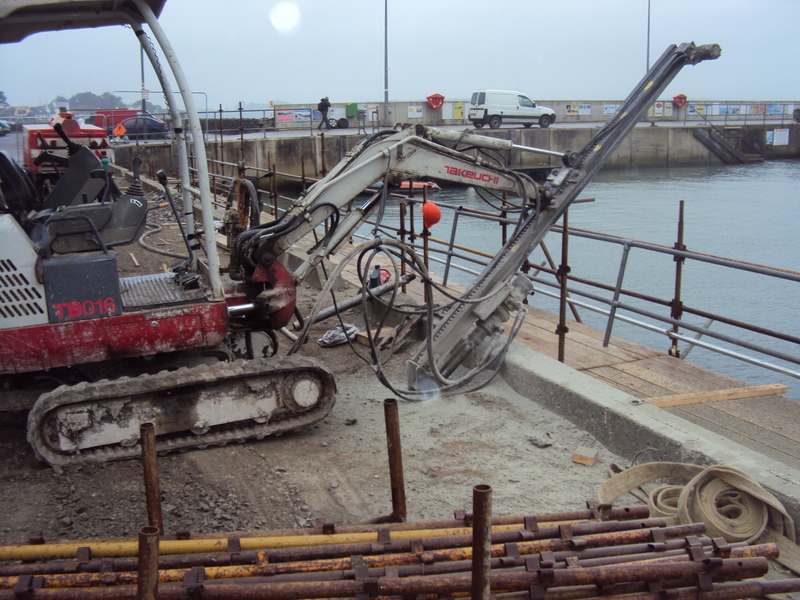 The project involved anchors to be inserted at an angle from the edge of the quay wall back in and under the roadway (into rock). There were 15 number at 4M centres. Due to the fact that this system was on the sea front, a 120 year life span was required. TAL used Dywidag 25mm GEWI solid steel thread bars with double corrosive protection. At the top of each anchor was a square plate system, with nuts which were set to the right level before creating an in-situ concrete plinth along the front of the quay wall.